Financial Valuation: Applications and Models provides authoritative reference and practical guidance on the appropriate, defensible way to prepare and present business valuations. With contributions by 30 top experts in the field, this new fourth edition provides an essential resource for those seeking the most up-to-date guidance, with a strong emphasis on applications and models. Coverage includes state-of-the-art methods for the valuation of closely-held businesses, nonpublic entities, intangible, and other assets, with comprehensive discussion on valuation theory, a consensus view on application, and the tools to make it happen. Packed with examples, checklists, and models to help you navigate your valuation project, this book also provides hundreds of expert “”tips”” and best practices in clear, easy-to-follow language. The companion website provides access to extensive appendix materials, and the perspectives of valuation thought-leaders add critical insight throughout each step of the process. Valuation is an important part of any organization’s overall financial strategy, and seemingly-small inaccuracies or incomplete assessments can have big repercussions. This book walks you through the valuation process to give you the skills and understanding you need to get it done right. The business valuation process can become very complex very quickly, and there’s no substitute for clear guidance and a delineated framework in the run-up to completion. Get organized from the beginning, and be systematic and methodical every step of the way. 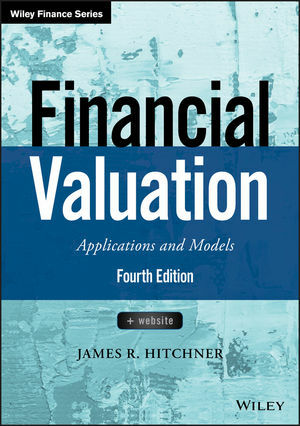 Financial Valuation: Applications and Models is the all-encompassing, expert guide to business valuation projects..